According to the American Sleep Association, one in every three adults deals with occasional insomnia. If you often find yourself lying awake at night, you might be surprised to learn that reaching for a snack can help you to get to sleep, so long as you choose one that promotes good sleep rather and not something that might increase your energy levels. The best nighttime snacks are items that contain both a carbohydrate and protein, as proteins are the building blocks of tryptophan (an amino acid that contributes to feelings of sleepiness), and foods that are high in carbohydrates make tryptophan more available to the brain, in turn making you drowsy. Here are 10 good options to help increase your odds of having a restful night. Plain Greek yogurt is a great bedtime snack, as it’s not only high in protein, but also in that ever-coveted tryptophan. Flavored versions are often high in sugar, which can hinder your ability to sleep, which is why cherries are a better option for a natural source of sugars and carbohydrates. Cherries also happen to be one of the only existing natural sources of melatonin, a hormone that helps with sleep cycle regulation. Often a less sugary alternative to peanut butter, almond butter is loaded with magnesium, which has been known to promote muscle relaxation, and in turn, more quality sleep. This protein packed spread on a slice of whole-grain toast is a perfect example of the aforementioned carb and protein combination. These Japanese soybeans aren’t just a great appetizer for a sushi dinner. In addition to being high in protein and fiber, edamame is also rich in calcium, magnesium, and potassium, all of which are known to calm the muscles and help drift off into quality sleep. Like edamame, these healthy carbs are also high in calcium, magnesium, and potassium to help promote good sleep and muscle relaxation in the same manner. It’s common to gravitate toward a comforting bowl of ice cream in the hours after dinnertime, but the high sugar content can make for a restless night, especially if you happen to also be sensitive to dairy. Frozen bananas whipped up in a food processor are a perfect alternative, as this fruit is high in magnesium and sleep-promoting tryptophan. Bananas are also high in potassium, which in addition to promoting good sleep, may help to stave off leg cramps if that’s also a common sleep issue for you. TV-watching snackers can rejoice – it turns out this fan-favorite actually isn’t a terrible late-night option. Air-popped popcorn is high in fiber and low in calories. Like cherries, walnuts are high in natural melatonin, making them a great alternative to synthetic melatonin supplements. Just be sure to stick to plain nuts rather than anything coated or covered in sugar. 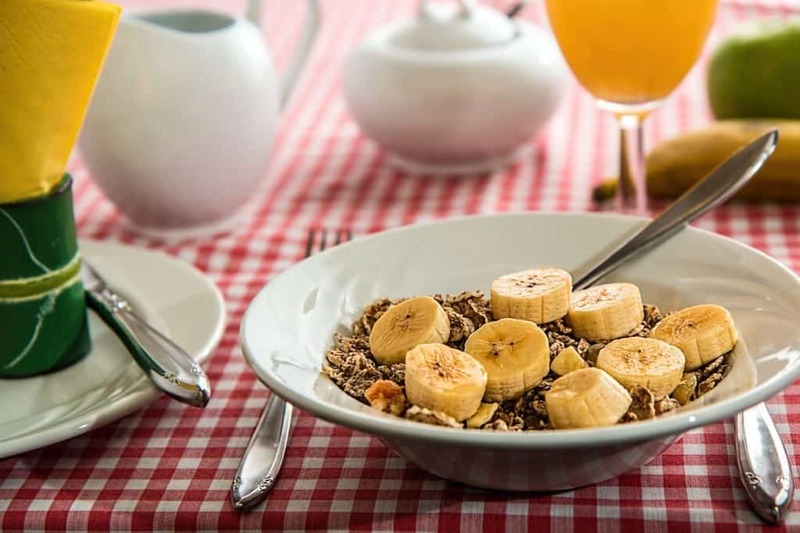 If you choose a whole-grain cereal like Chex or Cheerios that is also low in sugar, you’ll have that perfect carbs-to-protein ratio to promote good quality sleep and also keep you full and satisfied. Both of these items are good sources of B vitamins, which have been shown to help produce melatonin and prevent insomnia. A small serving of these tryptophan- and protein-laden deli meats, along with a thin layer of cream cheese or small piece of cheddar, will satisfy your stomach and ease your hunger pangs to get you right to sleep. Adding a slice of whole grain bread wouldn’t hurt either, if you find you still need a little something extra. Emilia Benton is a Houston, TX-based freelance writer and editor whose work has appeared in Runner's World, Women's Health, Self and Pop Sugar, among other publications. An avid runner, she has finished eight marathons and a couple dozen half marathons. She also enjoys country music, baking and traveling. Should Your Sleep Habits Change with the Season?